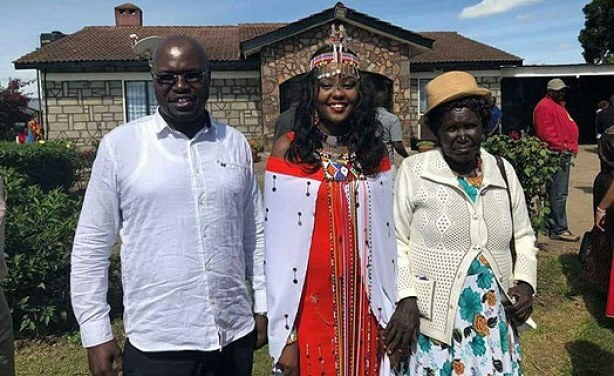 45-year-old member of parliament Johanna Ng'en has invited family and friends to his wedding, which will be held on August 18 at Emurua Dikirr Secondary School. In 2016, after insisting that marriage was important but not a priority - compared to serving his people - Ng'eno finally proposed to a city-based lawyer. Emurrua Dikirr MP Johanna Ngeno with his new bride during their traditional wedding.